I have converted a distributor to hall effect using VAG parts. Which type? The squarish one or the roundish one? Bosch 1 230 329 036. That number seems to be the hall effect unit itself. 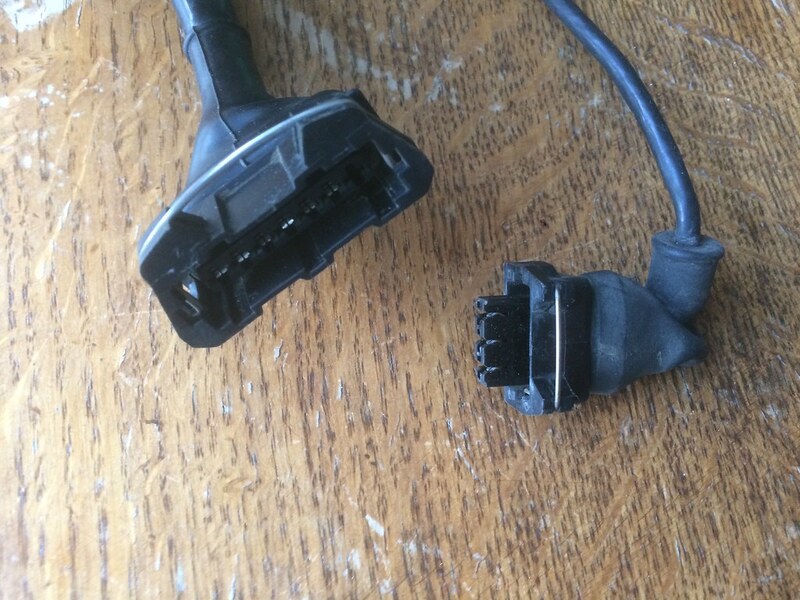 Ah, you mean the three pin plug for the loom? That's a generic AMP/ Tyco junior timer connector, the number I gave you is for the "socket" on the dizzy. The seven pin plug for the amplifier is also a junior timer connector. As said, they're generic junior timer connectors, so probably much more expensive if ordered from VW or Bosch. I'll update the manual on my website with these numbers anyway, perhaps handy for future reference. Thanks for all your help, now I know exactly what I,m looking for. Yes I did, all went well except the 3 pin plug I got was not correct. Hope you found it useful. Should you have any remarks or ideas for improvement based on your experience, feel free to let me know. I've built a few Hall dizzies myself, but haven't had any feedback so far from others who've actually used the manual. I think many people are put off by electronics stuff and I hope the manual will help overcome that fear. Electrics/ electronics isn't my forte either, so if I can do it anyone can. I think a Hall effect conversion is the single most useful upgrade for any V4, before carbs and exhausts etc. ; it really transforms an engine and makes it much more reliable. It,s been a while since I done the distributor, I remember having difficulty removing the shaft as the body of the dizzi had been swagged around the fixed disc. l bored out the base to install an additional oil-lite bush using a lathe and fixture to centralise the body. Drilling the holes around the body required studying your pictures to ensure correct positioning without excessive hole clearance. Re-assembly was straightforward replacing screws with cap screws. Do you remember how much float is normal between the gear and the base of the aluminium body ? I am still having problems locating the 3 pin plug you found the ident no for me, they appear to be no longer available and they are now quite old to find in breakers. If anyone has one it would be greatly appreciated. Your manual was very helpful especially the photo,s. Thanks for the feedback. Can you remember what size Oilite bush you used? I'll add it to the manual. Haha! To be honest, I thought it was a universal plug, but apparently I was mistaken. If you can find the size of the Oilite bush, please let me know.